Cat-loving Amy is thrilled when she spots a tiny black kitten in her garden. Is she a stray? Although she has no collar and is very thin, she looks well cared for – but if she’s a pet, why aren’t her owners around? Amy names the shy little creature Misty, and sets out to befriend her. 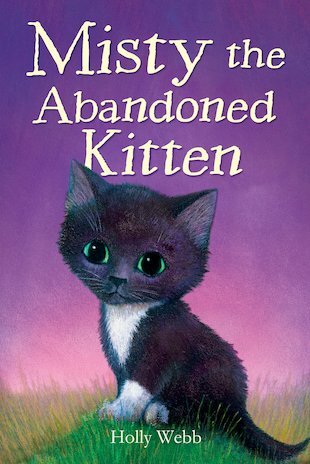 But just as Amy and Misty start to build a strong bond, her real owners show up… A heart-tugging tale of animals and friendship from the wonderful Holly Webb. It’s GREAT!! !I iove it and so will you!!! I only finished it yestday and I like it at the end because Amy gets to keep misty.